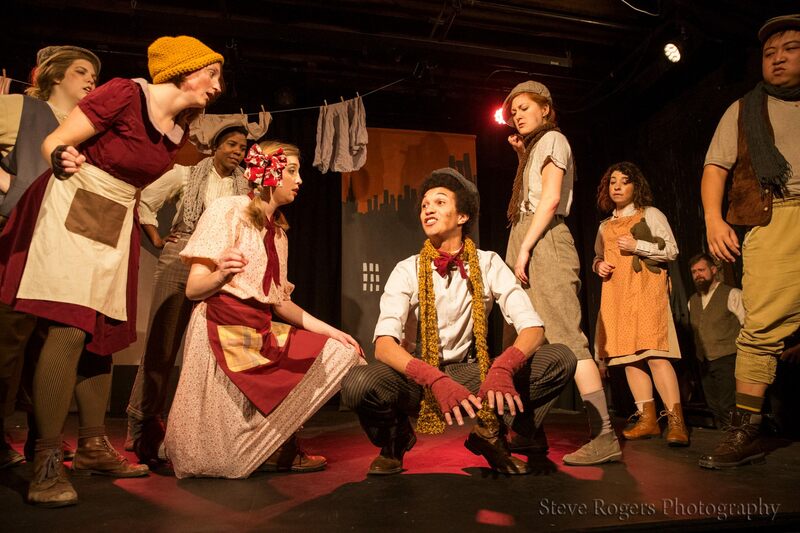 Starting Saturday, January 6th, orphans will be taking over The Hideout Theatre! Orphans! 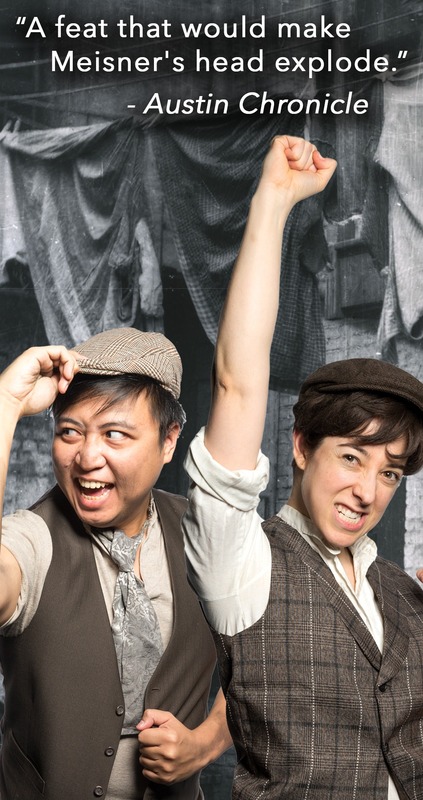 The Improvised Orphan Musical follows a ragtag group of grime-streaked and adorable orphaned kids and teens at the turn of the 20th century as they navigate a filthy industrial world filled with snarling coppers, careless caregivers, and vengeful villains. Co-directors Bridget Brewer and Kaci Beeler were inspired to create Orphans! when they discovered their mutual love of the stage and cinematic musicals featuring plucky orphans like Annie, OLIVER!, and Newsies. Every performance will feature a different big city and new orphan occupation (see the inspiring line-up below) and yes, each show is completely improvised on-the-spot, *including* the high-energy song and dance numbers. With a talented cast of 16 of Austin’s very best improvisers, actors, comedians, and singers led by our B. Iden Payne award-winning musical directors Ammon Taylor and Tosin Awofeso, backed by our technical improvisers in the booth, ORPHANS! is an upbeat and memorable musical spectacular that’s not to be missed! The Hideout Theatre is committed to many types of diversity in our casts and crews.